Mission: We are a ministry dedicated to capturing youth, grounding them in Biblical teaching and environment, and empowering them to be faithful, fruitful Christians. Our youth ministry serves students in 7th - 12th grades and has many different ways to get involved! From Sunday morning classes, to social events, to retreats and conferences, to service projects, our students have many ways to serve God and live out their faith! New faces are always welcome to join in any activity! There are many ways to learn and grow together! We offer many different ways for youth to serve! From local mission projects and drives to week-long trips to serve and build, we know that God uses many people with different talents to reach the world in His name. 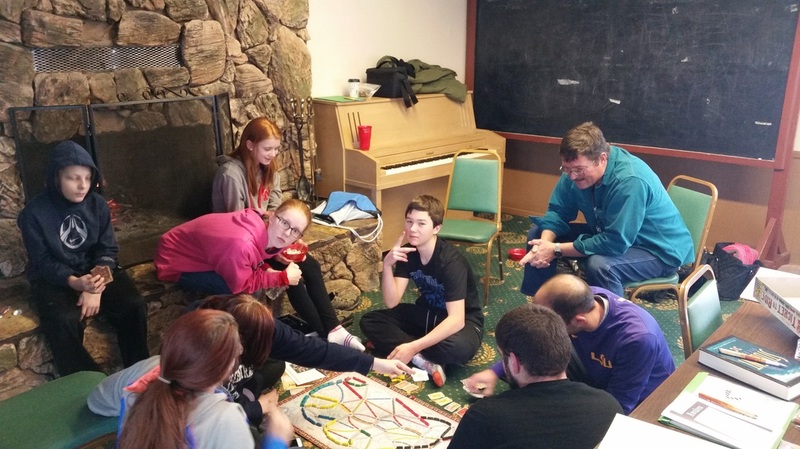 Our youth group meets on Sunday afternoons or evenings throughout the school year. We always welcome new faces to our group! Every July, our students meet with others from around the country at the YMCA of the Rockies to participate in the GenOn Youth Summit. We spend the week studying the Bible, worshiping, playing, and growing together, all set in the shadow of the Rocky Mountains. Our church has been blessed to go to this event for over 25 years, impacting the lives of high school students in our congregation. Thursday morning from 7 to 8 am for "Donuts and Dodgeball" or Thursday after school from 3:15 to 4:45 pm. This is a great time to bring friends and play games!